“Too much filler content, not enough killer” was a strong way to start a talk by JustGiving’s Head of Growth Danny Denhard, but the numbers speak for themselves: every minute; 72 hours of video are uploaded to YouTube, 3,600 images uploaded to Instagram, 278k tweets posted, the list goes on. It’s easy for brands to just add to the noise without creating any meaningful engagement. 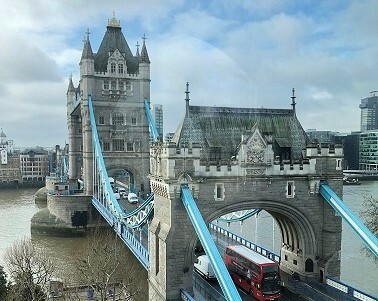 JustGiving facilitates its users to create some of the strongest and most impassioned content, so Danny shared his knowledge with us in Hootsuite’s office overlooking the spectacular Tower of London. Brands can embrace these emotions and use four pieces of “glue” for online content to create a genuine connection with their audience. These templates are useful but they are not going to create your content strategy, these are points which need to be populated with tailored content to your brand and audience. Emelie Swerre, Senior Product Manager at Brandwatch demonstrated why the British startup has become the world’s leading social intelligence company. Before starting any successful content strategy you must first understand your specific customers wants and needs, sometimes a small focus group or a survey isn’t going to accurately capture the variety and nuances of a global customer base. Identity theme and activity time. Assess the impact your content is having on the whole conversation. With the huge quantity of data available through social listening, Emelie took us through best practice steps such as identifying the right communities to listen to and understanding the trends that are developing there before they hit the mainstream conversation, that way as a brand you can act fast and been seen as the expert. “Whilst listening it’s crucial to understand how your audience’s style” Emelie described a brand’s YouTube channel decline in user engagement “because people were put off by the new high production values, they could identify more with the fun homemade video style”. “92% of marketers think they deliver personalised experiences, 55% consumers disagree!” is what the research shows, “in fact, the further down the sales pipeline a person moves the less we know about them” Stéphanie Genin, Hootsuite’s Global VP Field Marketing informed the DLF members. Stéphanie proposed two solutions to this problem, firstly understand the sentiment behind what is being said online and use emotional insight as a data point to inform your strategy. Engage with customers how they want to be spoken to, sell how they buy and be memorable are all key points to a strategy. Secondly, employee generated content is often overlooked when a content strategy is being formulated, Hootsuite’s data shows this content has more of an impact on people’s purchasing decision. Some marketers see user-generated content as the holy grail of content, however, in a purchases' eye Hootsuite data shows employee content is perceived as far more credible. For brands, the great news is that employee advocacy is far easier to generate than consumer advocacy and as employees will already be using their personal social channel regularly it’s simply a case of empowering, guiding and rewarding your teams. Thank you to our speakers and group leaders for facilitating the conversations and Hootsuite for providing such an inspiring space. The next main session we will learn how harnessing AI and automation technologies can benefit your organisation, make sure you don’t miss it.